This is not the first time that Google domain has been hacked. Earlier also Google domain has been hacked several times. 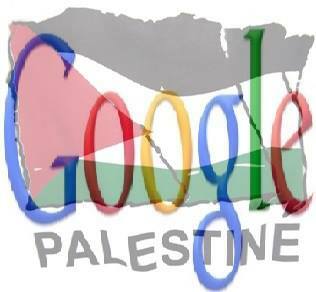 Once again this time Google Palestine domain has been got hacked and defaced by the Palestine hackers. After reading the above message it is clear that, hackers have just hacked the site because Google team have indicate the wrong place name on the Google map. After getting confirmation, it been seen that, hackers had hacked the domain register system and hijacked the Google DNS. 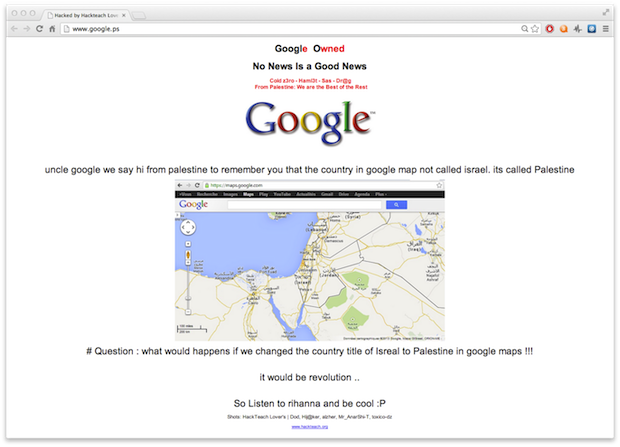 The hacktivists have changed Google DNS entries to omar.genious.net and hamza.genious.net. As I have already mentioned that Google domain have been hacked earlier also, and the common thing on all these hack was, hackers do this by DNS poisoning method. Many of the times hackers use DNS poisoning to make it look like they've defaced a high-profile website. As like Google Malawi, Microsoft. This hack was also hacked with the same technique. Hackers have hacked the Domain registered System of "Genious Communications is a hosting provider from Morocco", the organization responsible for managing Google.ps domain name.